Japanese band One OK Rock's foray into the global rock scene is bearing fruit and for frontman Taka, a recent collaboration with Canadian pop-rock star Avril Lavigne is like a dream come true. Lavigne sings in Listen, a track off Ambitions - the band's eighth album that was released earlier this year and their first since they signed with American record label Fueled by Ramen. "It was amazing, especially since I've been a huge fan from way back. I'm honoured to have been able to collaborate with her," the 29-year-old singer, whose full name is Takahiro Moriuchi, says in an e-mail interview. Lavigne, 33, has another connection with the band - her sister Michelle is married to One OK Rock bassist Ryota Kohama. The band will be back in Singapore to perform at the Singapore Indoor Stadium on Jan 20, their fourth - and biggest - gig here to date. They had previously played at *Scape in 2012, The Coliseum, Hard Rock Hotel Singapore in 2013 and Fort Canning Park last year. "We won't know what to expect yet without having done the actual performance, but we definitely want to make this a good one," says Taka. "Singapore fans are really kind and the live performances are always superbly fun." With a sound heavily influenced by Western alternative rock and emo bands, One OK Rock - which also comprise guitarist Toru Yamashita and drummer Tomoya Kanki - are one of Japan's most popular rock outfits today. Formed in 2005, the band's name is pronounced "one o'crock" and refers to the late-night, 1am jamming sessions that the band used to have in their early days. They released their self-titled debut EP in 2006 and their first album, Zeitakubyo, the following year. Ambitions and its predecessor, 35xxxv ( 2015 ), went to No. 1 in Japan. Both albums come in English and Japanese versions. Ambitions, which also features other international guest acts such as Austalian pop-rock band 5 Seconds of Summer, peaked at No. 2 in the American hard rock album charts and the New Zealand heatseekers albums charts. In 2014, One OK Rock played a landmark, two-night show at Yokohama Stadium to a 60,000-strong crowd. "Our music has an American pop-rock sound, but ultimately, we're still Japanese and we will never be able to pull away from that Japanese essence. 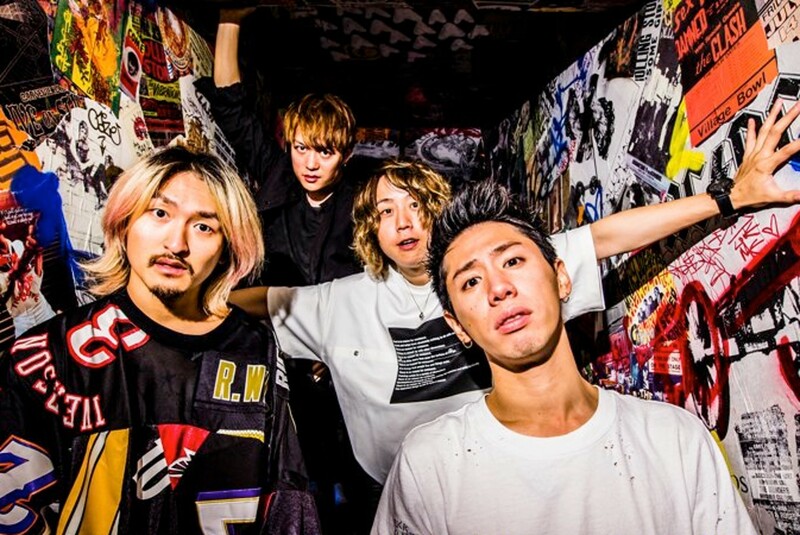 That's what makes One OK Rock original," says Taka.